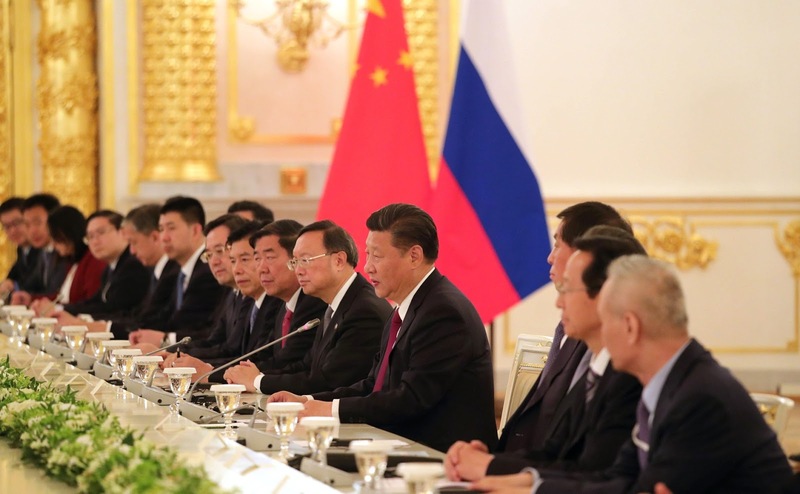 Russian-Chinese talks in expanded format. 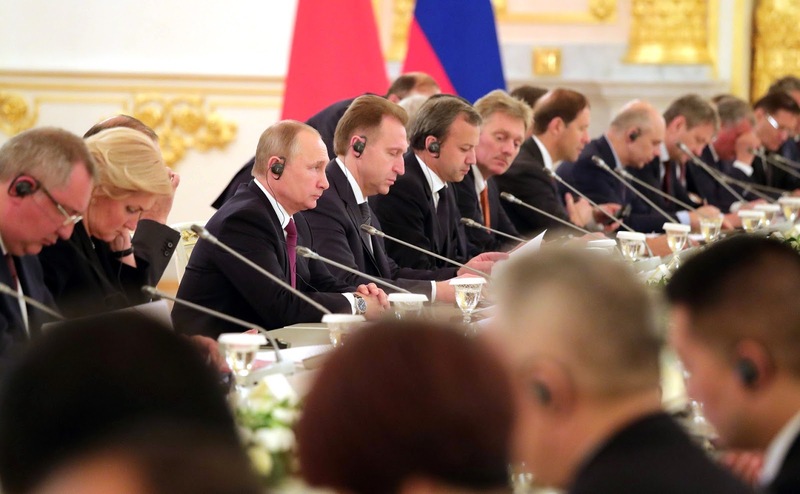 Putin.BLOG China Foreign Policy Russian-Chinese talks in expanded format. Vladimir Putin and Xi Jinping met in the Kremlin and held Russian-Chinese talks in expanded format. Vladimir Putin at the Russian-Chinese talks in expanded format. I would like to extend my welcome to you once again, now that the two delegations meet in the expanded format. In fact, we started our work yesterday evening. Today, we had an opportunity to meet in a restricted format to review all areas on the bilateral agenda, including political cooperation, international affairs, economic, military, military-technical, and cultural cooperation. Since we are now meeting in an expanded format, we can hear from our colleagues, ministers and deputy prime ministers, in order to discuss in greater detail all the matters of mutual interest. It gives me great pleasure to welcome you once again. Welcome! I would like to thank all of you once again, and specifically President Putin, for inviting us to Russia. Thank you for decorating me with the Order of St. Andrew the Apostle. As you have said, we had a very insightful conversation yesterday, and agreed on a number of new issues. We have been maintaining close contact since the beginning of this year. In May, you attended the Belt and Road International Forum in China. Last month, we were both present at the SCO Summit in Astana. After this visit, we will meet on a number of other platforms. I believe that our proactive contacts served as an impetus for stepping up the comprehensive partnership and high-level strategic cooperation between China and Russia. We have been firm in supporting each other on matters related to our vital interests, and are making progress in aligning the Belt and Road Initiative with the EAEU. Our cooperation is making steady progress in terms of investment, energy, humanitarian and inter-regional cooperation. We cooperate effectively on international and regional issues. Not only did our strategic partnership facilitate development in our countries, but also added positive and meaningful momentum to efforts aimed at sustaining peace and security across the world, and had a stabilizing effect in the rapidly changing world. These are challenging times in terms of international affairs, where we are facing opportunities, as well as challenges. Against this backdrop, I believe that we should combine our efforts in order to overcome these challenges and strengthen our relations. 0 Comment to "Russian-Chinese talks in expanded format."